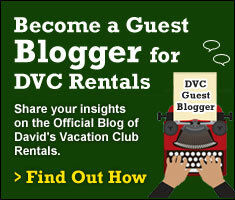 At first glance, it seems the only difference between resorts is the theming. While that is certainly the case, each resort has several other unique features that set it apart from the other resorts. These things don’t necessarily make one resort better than another, but they are good things to consider when you’re trying to decide where to stay. I’ve put together a list of unique features for each resort and today I’m sharing, in no particular order, my top 10 reasons to stay at Bay Lake Tower at Disney’s Contemporary Resort. 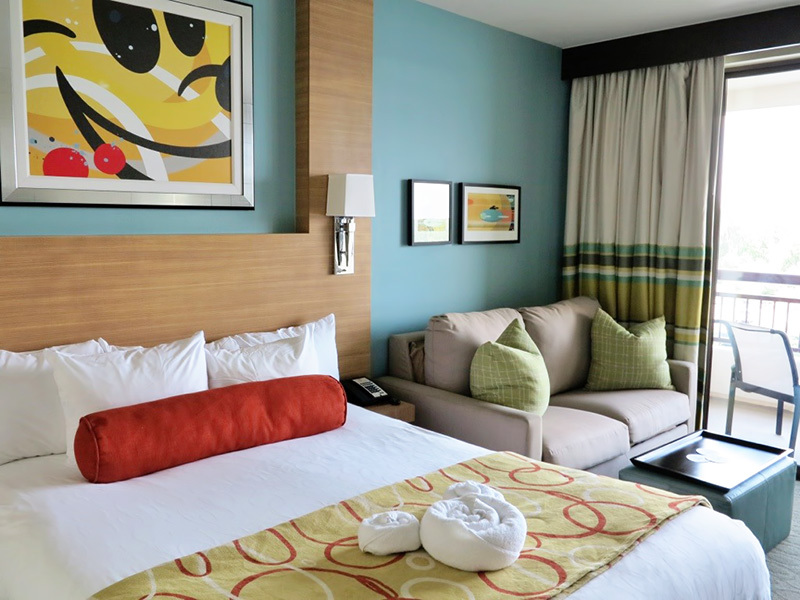 Disney’s Bay Lake Tower has a distinctively modern design that is balanced by a warm and inviting décor. The Disneyfied theming here is subtle and the decor is more like what you would find at an upscale, trendy urban boutique hotel. If you are planning to spend a lot of time at the Magic Kingdom, the location of this resort can’t be beat, especially for guests with small children. It is just a short monorail ride away but the real advantage here is being able to walk to and from the Magic Kingdom. The short 10-15 minute walk is especially nice at the end of a long day. You can be snug in your room before most guests have made their way back to their cars or boarded their buses. I always recommend a mid-day break from the parks to have lunch and maybe a swim or a nap. 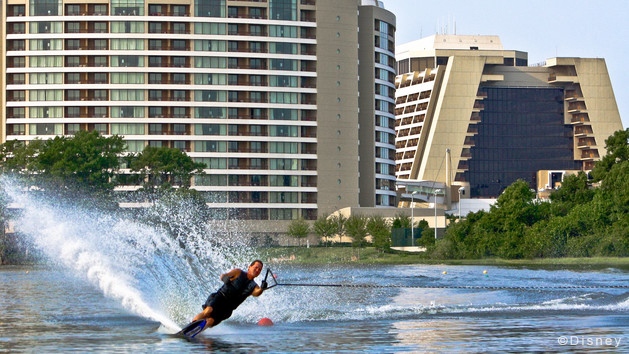 Staying at Bay Lake Tower makes this a cinch. Some of the best views on property can be enjoyed from this resort. You know that commercial on TV where the kids are watching the fireworks burst over Cinderella Castle through the glass of their hotel room window? Bay Lake Tower is where you’ll find that million-dollar view. 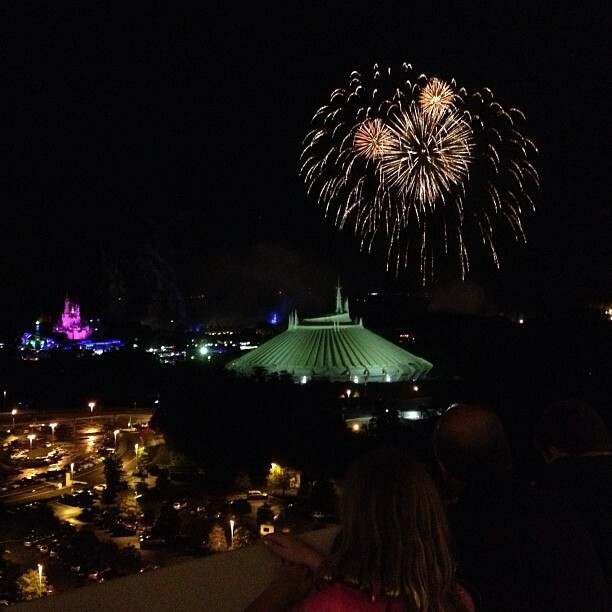 Speaking of views… the Top of the World Lounge is a stunning place to enjoy a night cap. Located on the top floor of Bay Lake Tower, this lounge offers an incredible view of the Magic Kingdom, the Contemporary Resort, Seven Seas lagoon and Bay Lake. 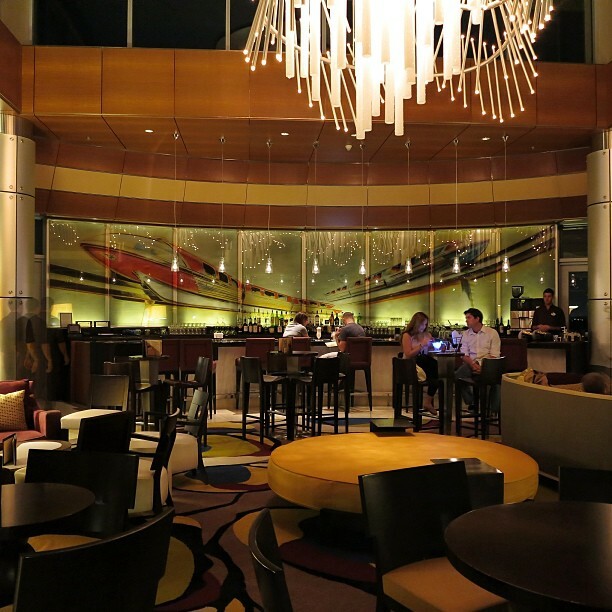 The lounge is spacious and beautiful, especially at night. When you stay at Bay Lake Tower, there’s no need to worry about arranging a cab home. For some, the monorail isn’t just transportation, it’s a Walt Disney World attraction. 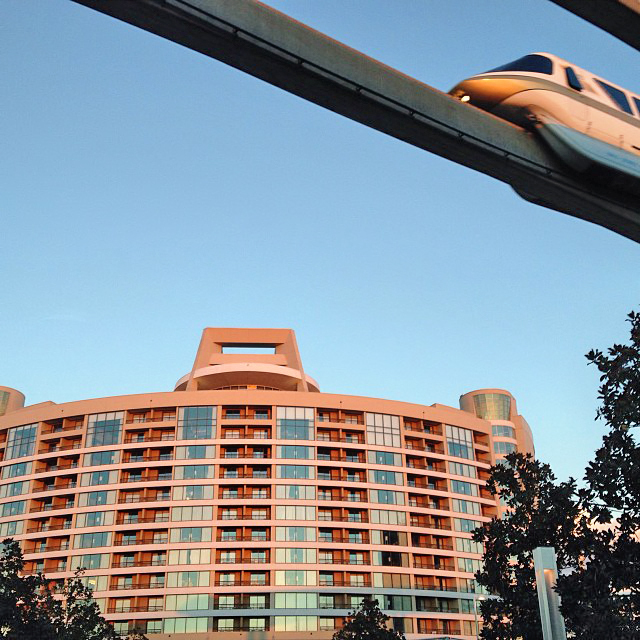 The monorail is a fun and convenient way to travel when you are a guest at Bay Lake Tower. You can board the monorail right inside the lobby of the Contemporary and take it to the Magic Kingdom or any of the other resorts located around the Seven Seas Lagoon. Make a transfer at the Ticket & Transportation Center and continue on to Epcot. 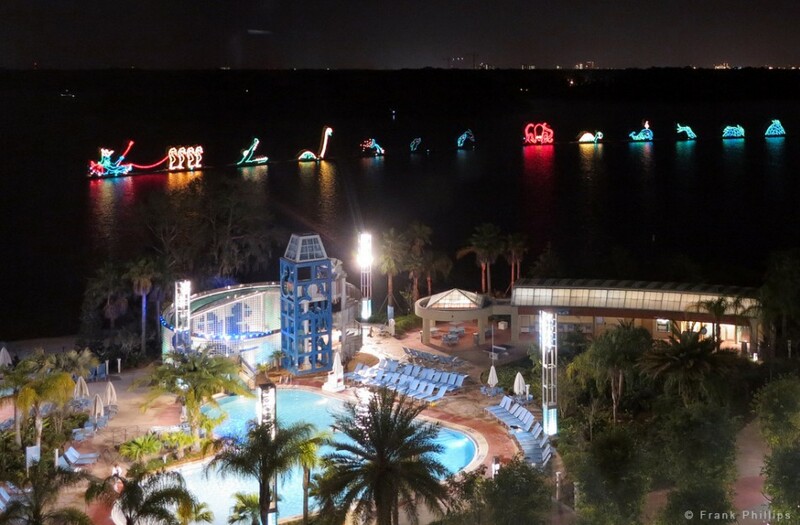 One of Walt Disney World’s hidden gems is the Electrical Water Pageant. This lighted water parade dates back to 1971, when Walt Disney World Resort opened. It passes by the resorts on Bay Lake and the Seven Seas Lagoon every night, delighting guests with its sea creatures and electronic tunes. Only a few resorts at Walt Disney World are home to restaurants that feature character dining and this is one of them. Here you can enjoy a buffet meal with the big cheese himself. 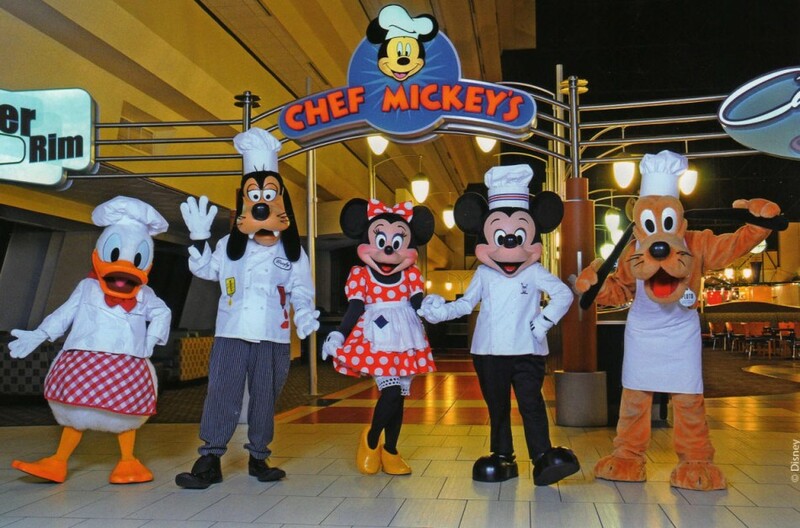 Mickey and Minnie Mouse, Goofy, Pluto and Donald Duck are serving up the fun at Chef Mickey’s, located in the lobby of the Contemporary. You don’t have to be staying at Ft. Wilderness to partake in the fun that the campgrounds have to offer and getting there from Bay Lake Tower is as easy as hopping on a boat at the marina. Boats go back and forth regularly throughout the day and evening. 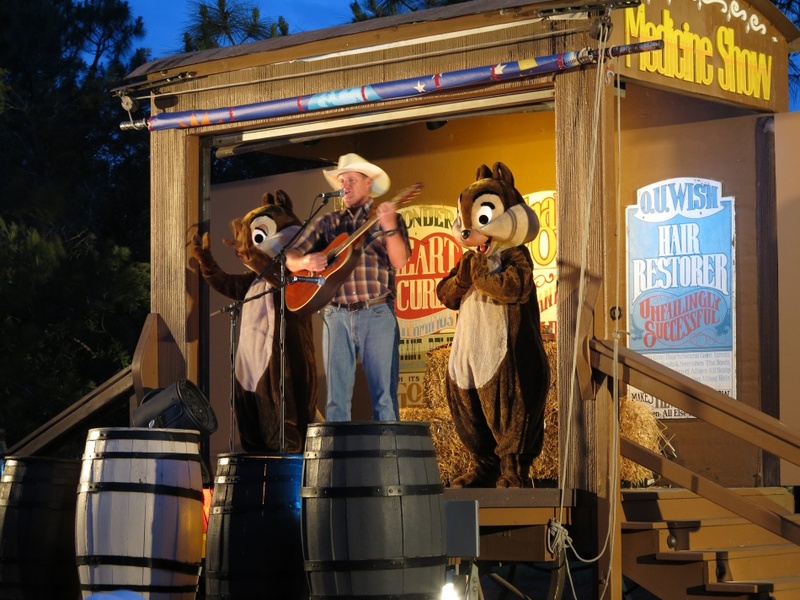 Check out the Hoop-Dee-Doo Musical Revue or Chip ‘n Dale’s Campfire Sing-A-Long. If waterskiing, parasailing and wakeboarding are your kind of fun, then Bay Lake is the place to be. Sammy Duvall’s Watersports Centre offers extreme water fun right out your back door. 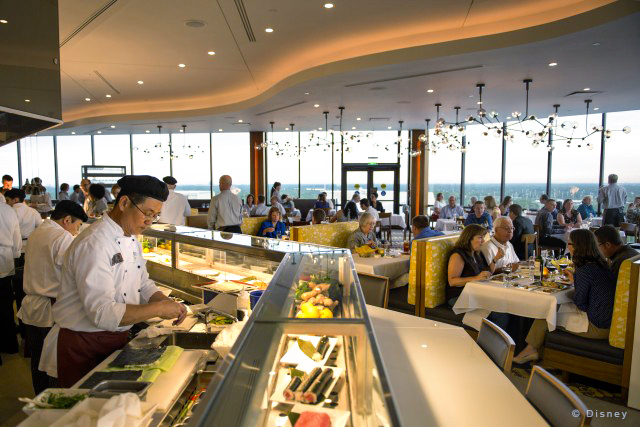 One of the most popular restaurants at Walt Disney World, the gorgeous California Grill is located on the top floor of the Contemporary resort. 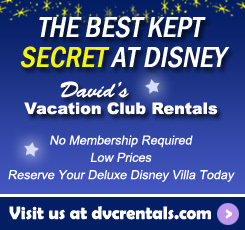 Two outdoor balconies offer breathtaking views of the Magic Kingdom and surrounding areas. The finest in Californian cuisine is prepared in a lively “onstage kitchen”. The menu, which changes seasonally, features some of the best food on property. 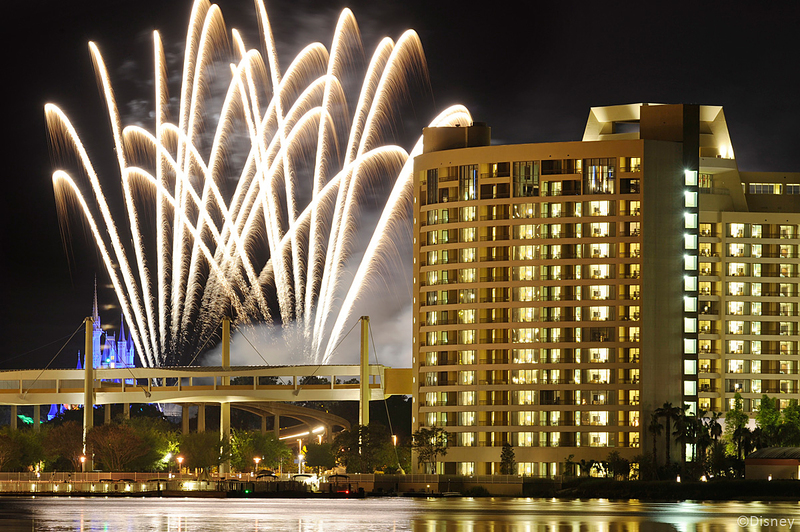 California Grill is a perfect place to celebrate any special occasion and it’s just a short walk from your room when you stay at Bay Lake Tower. So, there you have it, my top 10 reasons for choosing Disney’s Bay Lake Tower. If these things appeal to you, then Bay Lake Tower would make a great resort for your next vacation.